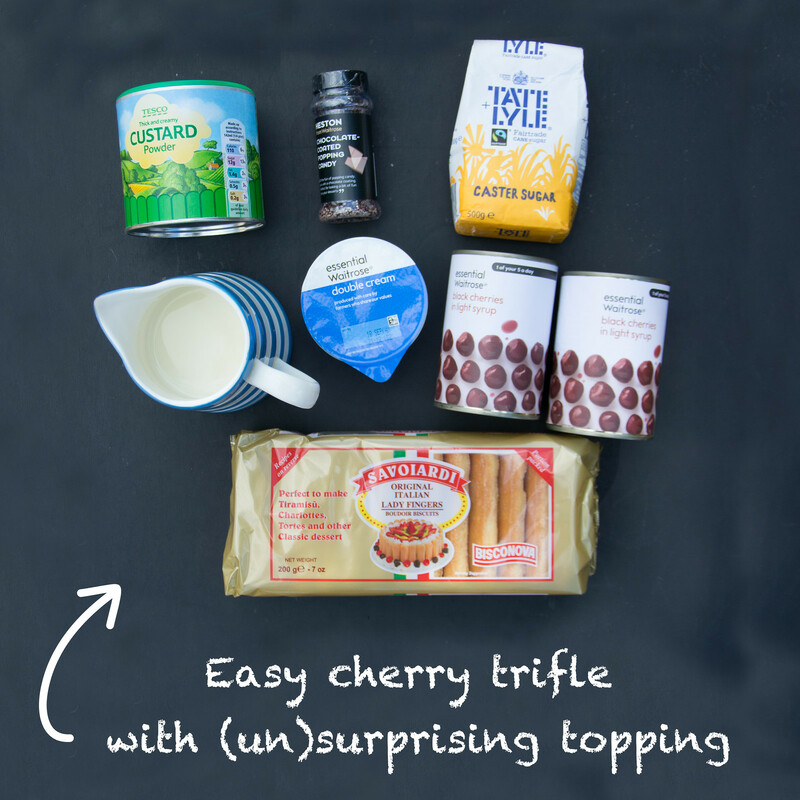 Last week while I was browsing around Twitter I discovered the Great Bloggers Bake-Off, a simple but brilliant idea from The Crazy Kitchen encouraging bloggers to make their own recipes inspired by The Great British Bake-Off. I only got round to watching this week’s GBBO episode on Friday, but with my neice and nephew staying with us on Saturday night I thought it would be the perfect excuse to whip-up a trifle. This recipe is based on my mum’s with a few added touches…. (3) Make your custard. Of course you can use tinned, but I make my own so I can get it thick! I double the quantity of custard powder advised (4 tbsp instead of 2 tbsp) and then halve the sugar (1 tbsp instead of 2 tbsp.) Pour the custard on the sponge fingers then allow to cool. 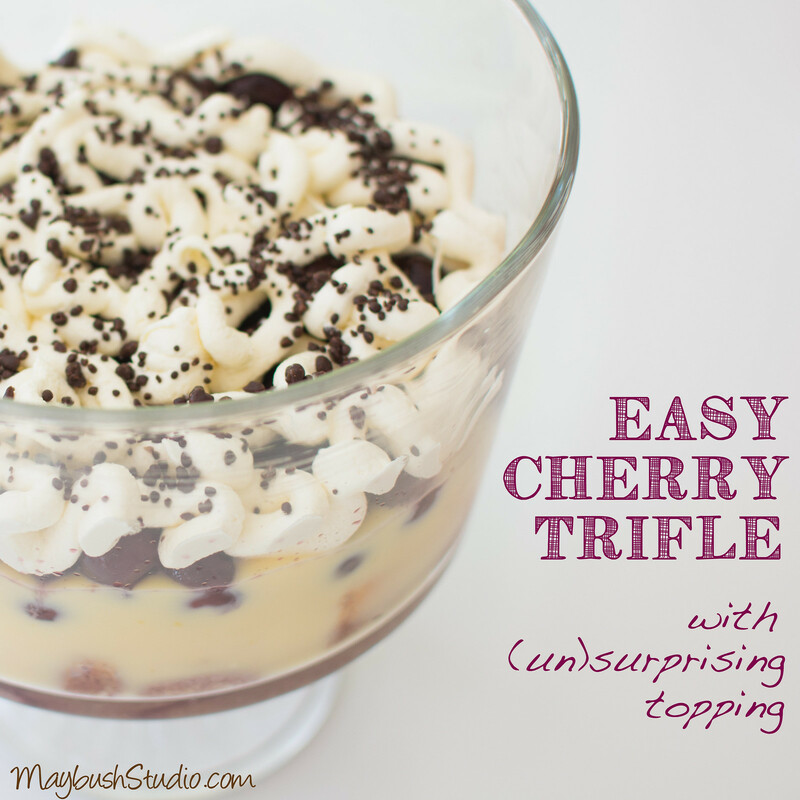 Another one of my favourite puddings and so easy! Click on the badge below (or go here) to see some of the other great pudding recipes…. Yes, a trifle with lady/boudoir fingers! I dislike trifle with swiss roll/sponge type bottom. Oooh, I love this popping candy idea! I must get some!